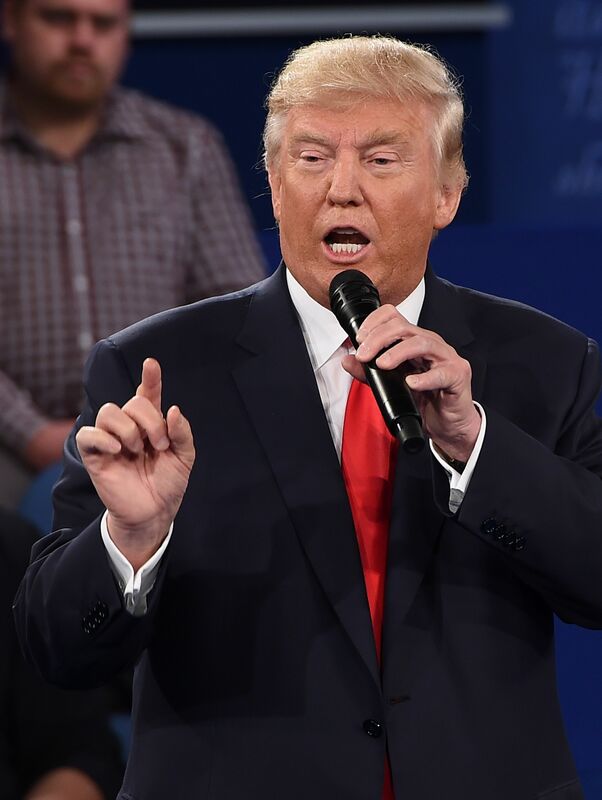 It's possible you were shocked when Donald Trump, alleged patriot and person who's definitely not a loser, put his famous eloquence on display Sunday night during the second presidential debate to ask this jarring yet oddly thought-provoking question: "How stupid is our country?" One might think that a man who has invested so much time and money into becoming the next president of the United States would think twice before climbing up on a national stage and, you know, insulting the very voters he's tried so hard to win over. But, if we've learned anything while watching Trump's campaign veer wildly off course and into the land of "this can't possibly be happening," it's to expect the unexpected. And as ridiculous as Trump's question may sound, he's not the first person to wonder at the merit, intellect, and potential of our country. In fact, our nation's presidents have been asked to answer the very same question for centuries — how great is America, really? Unlike Trump, however, they've arrived at slightly more sparkling conclusions. For what it's worth, Trump wasn't actually referring to the character of all American people when he let slip this gem of a quote — he was talking about U.S. strategy in Syria. But it isn't exactly heartening to hear a man so bent on taking over the Oval Office refer to America as being nothing but a nation full of idiots. So just how stupid is our country? Thankfully for Trump, there is a whole legacy of galvanizing, unifying, and inspiring American leaders who have thought carefully about this nation's awesomeness pretty much since America first became a thing, and they would like to chime in. To help answer your question, Mr. Trump, here's what 12 former American presidents have to say about the matter.